Liberated by the death of her brutal husband, Cora Seaborne escapes London for little Colchester — with "a ruin and a river, and web-footed peasants, and mud." She abandons the corset, the elegant town house and Victorian society for fossil-hunting and dirt under her fingernails. "I've freed myself from the obligation to try to be beautiful," she says, "and I was never more happy." "Had it always been here — this marvelous black earth in which she sank to her ankles, this coral-colored fungus frilling the branches at her feet?" Cora wonders. Had birds always sung? Had the rain always this light touch, as if she might inhabit it? She supposed they had, and that it had never been very far from her door. She supposed there must have been other times when she'd laughed alone into the wet bark of a tree, or exclaimed to no one over the fineness of a fern unfolding, but she could not remember them. Out on the salt marshes where Cora hunts for fossils live the Reverend William Ransome and his lovely sprite of a wife ("no bigger than a fairy and twice as pretty"). Their fierce friendship, and ensuing love triangle — though mercifully not a bitter or dramatic one — forms the backbone of the novel. Near the coastal village of Aldwinter, where Cora eventually moves to be closer to the Ransomes, nature is not inertly beautiful, but dangerous and alive: A sheep is sucked into the mud, boats are taken by the water, earthquakes split houses, and the residents wake in the mornings "from dreams of wet black wings." Those wings belong to the titular Essex Serpent, a water serpent terrorizing the village — or according to William Ransome, just rumor a born of the dead man who washed up on shore, the missing sheep, a lost child, the unseasonable darkness, and a strange waver in the line of the water. Though even he, in moments, thinks, "But was it too great a stretch to imagine the Intelligence that once had split the Red Sea taking the trouble to send a little admonition to the sinners of a briny Essex parish?" It can't be an accident that Perry placed her story about collective panic in Essex. Not only was there really a mythical winged serpent that terrorized locals there in the 17th century, but it was the location of the notorious Essex witch trials. The self-styled Witchfinder General, Matthew Hopkins, traveled through the county, cutting women to see if they bled — if not, they were witches. Perry is good at catching the special collective dread that enflames communities — the fear that something sinister is stirring, waiting just out of sight. That gives a special magnetism to a story that needed none. The moments of greatest emotion happen outdoors, as if only the layered and living woods could contain them. "Look, we are in a cathedral," Will says, walking in the woods with Cora. The Essex Serpent made me think of a line from George Eliot, "If we had a keen vision and feeling of all ordinary human life, it would be like hearing the grass grow and the squirrel's heart beat, and we should die of that roar which lies on the other side of silence," she wrote. "As it is, the quickest of us walk about well wadded with stupidity." 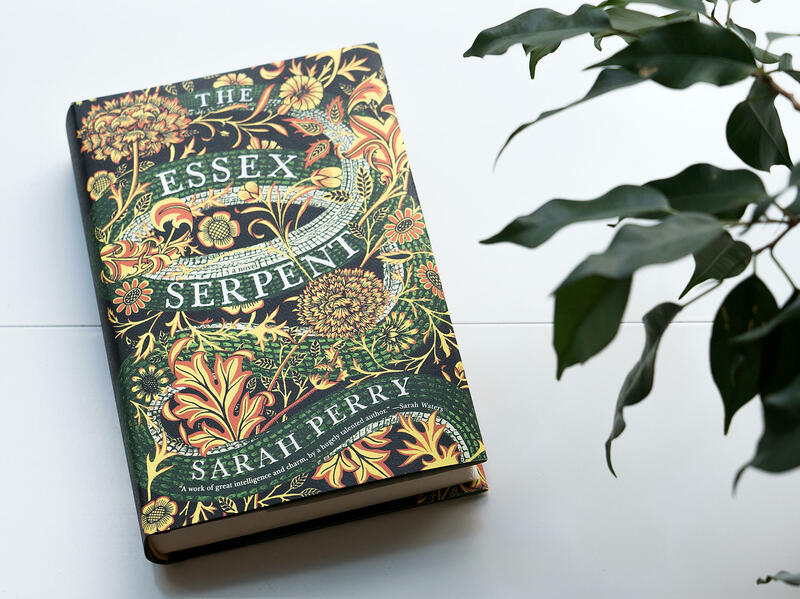 At its very best moments, when it shows how love, death, and regeneration all go hand-in-hand, The Essex Serpent is so painfully lovely that it removes a bit of that padding, only just as much as we can bear.